Reporting on what's new and what's next in technology, science, gadgets, space, green tech and more. 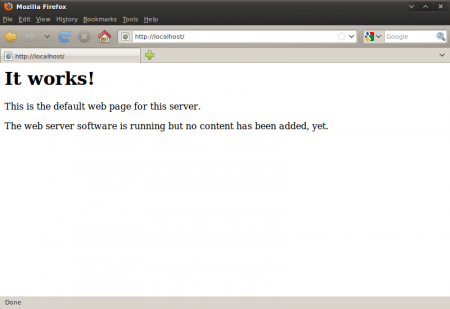 Apache is a popular web server application you can install on the Raspberry Pi to allow it to serve web pages. On its own, Apache can serve HTML files over HTTP, and with additional modules can serve dynamic web pages using scripting languages such as PHP. By default, Apache puts a test HTML file in the web folder. This default web page is served when you browse to http://localhost/ on the Pi itself, or http://192.168.1.10 (whatever the Pi’s IP address is) from another computer on the network. To find out the Pi’s IP address, type hostname -I at the command line (or read more about finding your IP address) in our documentation. This means you have Apache working! drwxr-xr-x  2 root root 4096 Jan  8 01:29 .
drwxr-xr-x 12 root root 4096 Jan  8 01:28 .. This shows that there is one file in /var/www/ called index.html. The . refers to the directory itself /var/www/, and the .. refers to the parent directory /var/. The 3rd column shows that, by default the www directory and index.html file are both owned by the root user. In order to edit the file, you must gain root permissions. Either change the owner to your own user before editing (using sudo chown pi: index.html), or edit with sudo (using sudo nano index.html). Try editing this file and refreshing the browser to see the web page change. Press Ctrl + X and hitEnter to save and exit. PHP is a preprocessor; it’s code that runs when the server receives a request for a web page. It runs, works out what needs to be shown on the page, then sends that page to the browser. Unlike static HTML, PHP can show different content under different circumstances. Other languages are capable of this, but since WordPress is written in PHP, that’s what we need to use this time. PHP is a very popular language on the web; large projects like Facebook and Wikipedia are written in PHP. 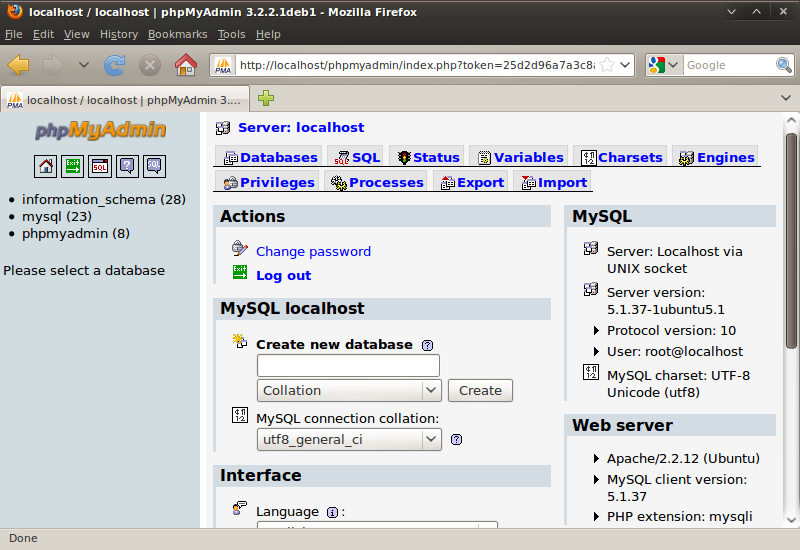 MySQL (pronounced My Sequel or My S-Q-L) is a popular database engine. Like PHP, its overwhelming presence on web servers enhanced its popularity. This is why projects like WordPress use it, and why those projects are so popular. When installing MySQL you will be asked for a root password. You’ll need to remember this to allow your website to access the database. You can download WordPress from wordpress.org using the wget command. Helpfully, a copy of the latest version of WordPress is always available at wordpress.org/latest.tar.gz andwordpress.org/latest.zip, so you can grab the latest version without having to look it up on the website. At the time of writing, this is version 4.0. Navigate to /var/www/, and download WordPress to this location. You’ll need to empty the folder first (be sure to check you’re not deleting files you need before running rm); change the ownership of this folder to the pi user too. This is the source of a default WordPress installation. The files you edit to customise your installation belong in the wp-content folder. Here I have provided my password (the word password) on the command line; there is no space between -p and your password. Now you will be prompted to enter the root user password you created earlier. 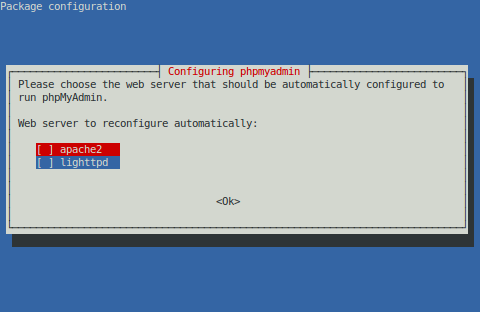 Exit out of the MySQL prompt with Ctrl + D.
You need to find out your Pi’s IP address to access it in the browser, so in a terminal type the command hostname -I.
Navigate to http://YOUR-IP-ADDRESS e.g. http://192.168.1.5 in the web browser on your Pi. You should see a WordPress error page; this is good! Click the big button marked Create a Configuration File followed by the Let's go! button on the next page. Copy this text, return to the terminal on the Pi and edit the file with nano wp-config.php. Paste the text into this file, and save and exit with Ctrl + X, then Y for yes and Enter. Now hit the Run the install button. Fill out the information: give your site a title, create a username and password, put in your email address and untick the search engines box. Hit the Install WordPress button, then log in using the account you just created. Now you’re logged in and have your site set up, you can see the website by visiting your IP address in the browser on the Pi or another computer on the network. To log in again (or on another computer), go to http://YOUR-IP-ADDRESS/wp-admin. Save the file and return to the website homepage. Click on the post title or the sample page link and you’ll probably see a Not Found error page. 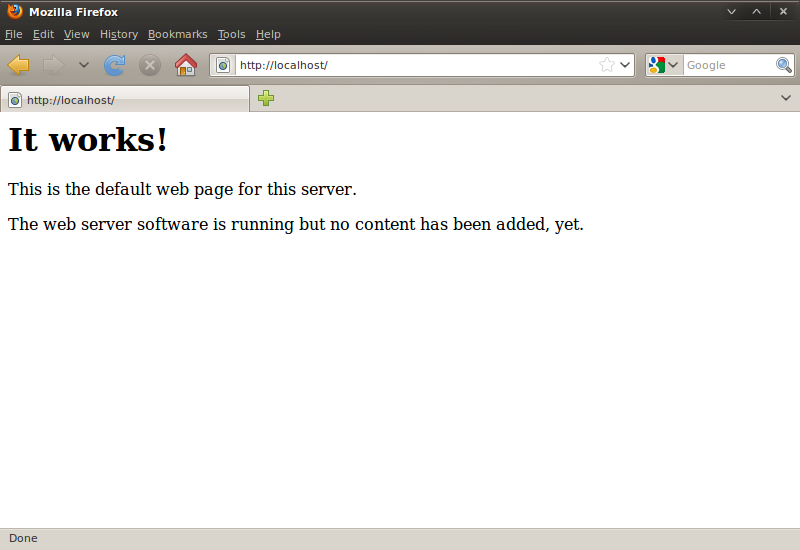 This is because the rewrite module has not been enabled in Apache. To do this, enter sudo a2enmod rewrite. You’ll also need to tell the virtual host serving the site to allow requests to be overwritten. Do this by editing the virtual host file (with root permissions): sudo nano /etc/apache2/sites-available/default; also, change the AllowOverride setting on line 11 (inside the <Directory /var/www/> block) from None to All. Save the file and then restart Apache with sudo service apache2 restart. Once it’s restarted, refresh the page and it should load successfully. Now posts have URLs like /hello-world/ instead of /?p=123, and pages have URLs like /sample-page/instead of /?page_id=2. WordPress is very customisable. By clicking your site name in the WordPress banner along the top of the page (when logged in), you’ll be taken to the Dashboard. From here you can change the theme, add pages and posts, edit the menu, add plugins and lots more. This is just a taster for getting something interesting set up on the Raspberry Pi’s web server. I’ve found out that you can get this grub rescue prompt error from dual booting from a single drive containing two or more Operating Systems or having two or more hard drives each containing a separate OS and using a selector switch to select between them. The easiest way to solve dual boot problems is to use Boot-Repair (IMHO). 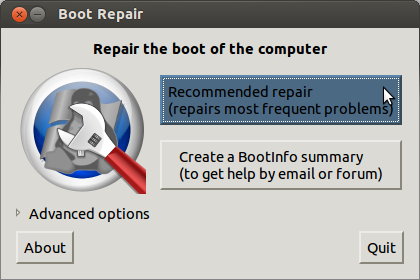 Boot-Repair is a simple tool to repair frequent boot issues you may encounter in Linux Mint/Ubuntu like when you can’t boot Linux Mint/Ubuntu after installing Windows or another Linux distribution, or when you can’t boot Windows after installing Linux Mint/Ubuntu, or when GRUB is not displayed anymore, some upgrade breaks GRUB, etc. Once done Boot-Repair will open with two options choose the first option (Recommended repair). When repair is finished, Save the URL that appeared, Then reboot. If the repair didn’t succeed, Share the URL on askubuntu, Linux Mint forum or any other help forum for more help. How to prevent the GRUB menu from showing up in the beginning of boot? You need to edit the file at /etc/default/grub to prevent showing the grub menu. By default, the entries in that files look like this. Change the line GRUB_HIDDEN_TIMEOUT_QUIET=false to GRUB_HIDDEN_TIMEOUT_QUIET=true. Then run sudo update-grub command in the terminal, and reboot to see the result. This tutorial guide is applicable for Ubuntu, Linux Mint and also applies to any Debian based distro. For other Linux distros please substitute apt-get for your package manager. During the installation you have the option to install the latest version of VLC media player. To complete the installation you have to reboot your machine. When you have completed the installation process you are able to play Blu-Ray’s but not to trans-code them. Using the VLC media player you can run encrypted Blu-Ray’s by choosing BluRay as “Disc Selection” (check box “No disc menus”) and by selecting the related disk drive. 2) Now you’ll make your directory for your new mount. I like to keep the name of the folder the same as the drive label, but you can name it whatever you want. *NOTE* It doesn’t show up correctly here, but there is a tab where every space is. This is important! Copy-paste from here won’t give you exactly what you need, so simply delete each space and TAB once. Also, make sure you replace “/dev/sdxx” with your drive (such as “/dev/sdb1″) and the “/media/xxxxx” with your same directory name you did above (such as “/media/Storage”). Where xxxxx is, you can name it anything you want to identify the drive with. Why use apt-get upgrade versus apt-get dist-upgrade? Below is an excerpt from man apt-get. Using upgrade keeps to the rule: under no circumstances are currently installed packages removed, or packages not already installed retrieved and installed. If that’s important to you, use apt-get upgrade. If you want things to “just work”, you probably want apt-get dist-upgrade to ensure dependencies are resolved. To expand on why you’d want upgrade instead of dist-upgrade, if you are a systems administrator, you need predictability. You might be using advanced features like apt pinning or pulling from a collection ofPPAs (perhaps you have an in-house PPA), with various automations in place to inspect your system and available upgrades instead of always eagerly upgrading all available packages. You would get very frustrated when apt performs unscripted behavior, particularly if this leads to downtime of a production service. apt-get knows that new versions of packages are available. the general settings for individual packages. The upgrade option only installs new version of the packages that are already installed on the system (and yes, kernel updates belong to them). However, sometimes the updates change dependencies: for example, a new version of a package will no longer depend on a library that you have installed, or will require installation of additional libraries. Theupgrade option will never remove installed packages that you no longer actually need. However, the dist-upgrade option can “intelligently” handle changes in the dependencies system. This includes removing packages that are no longer necessary or resolve conflicts between packages that arose because of changes in the dependencies. You go to start Linux Mint and you get a black screen with a terminal session. You may also find that X server won’t start and when you try to choose Mate from the desktop session you notice it’s missing. This could mean that that your Mate desktop is damaged. I installed mate-core and rebooted and my desktop returned. A tutorial to speedup/boost/optimize Linux Mint/Ubuntu by using some optimizations and enhancements. 3. (For power users) Switch /tmp directory to RAM instead of disk. Edit /etc/fstab in your favourite text editor (in root mode). Add the following line at the end. 4. Disable superfluous GUI animations in Mate/Gnome etc. using the configuration editor which would be compatible with your desktop environment. Some examples are dconf-editor for MATE, gconf-editor for GNome etc. IPV6 is an Internet protocol. Currently most applications use IPV4 and this can cause conflicts which slow down your system. Complete the following to disable it. Computers communicate by sending packets of data back and forth. When they connect with each other to send these packets they use the TCP (Transmission Control Protocol). Your computer could begin the connection with a small package size, then the other computer might respond with a larger one. In turn your computer will reduce (scale down) the size of the package (to a bit more that your original package size). The other computer again responds with a larger packet size. This cycle continues until your computer or the responding computer meets their maximum package size. If you choose a windows packet size that is too big, you will notice slower broadband performance (524288 works for me). If you notice a slow down, then reduce your window size. Which are all multiples of 1024 (or 1K). After completing this, you should notice improved web surfing speed. If not, remember to go back and adjust your TCP window size and try again. This should get you set up straight away. What does caret (^) in an apt-get command mean? Enter the line below, save the file, and exit the text editor. Now, open your browser and enter http://localhost/info.php. You should see a bunch of information about your version of PHP. This step is optional. 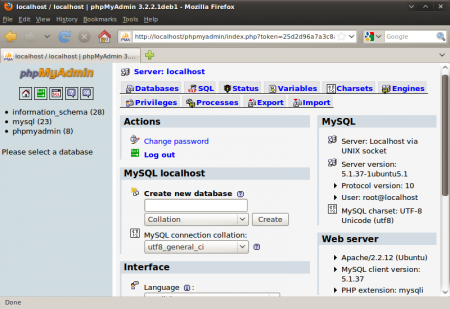 To easy access MySQL databases use phpMyAdmin. If prompted, use the spacebar to mark apache2 and then hit Enter. You will also be asked if you want to configure phpMyAdmin with a new database called dbconfig-common. Select Yes and press Enter. 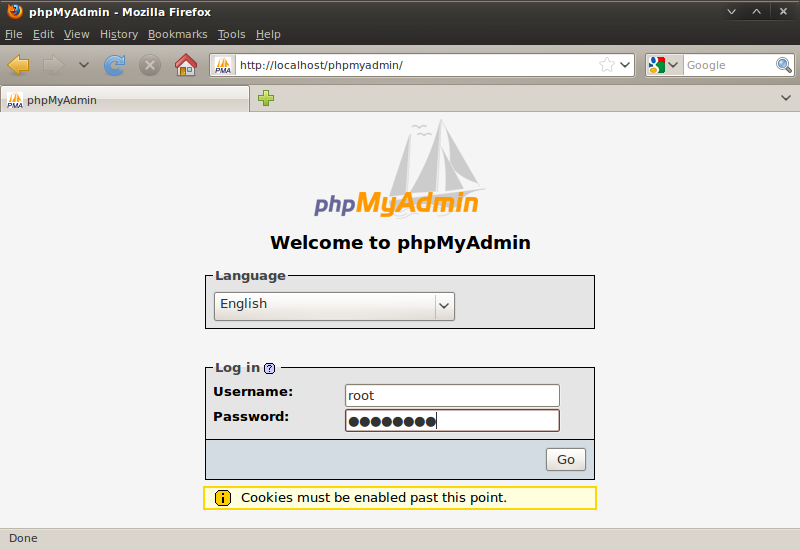 Next you’ll be prompted for the password for MySQL’s administrator. Enter the MySQL root password that you created earlier in the installation. Select Yes and press Enter. 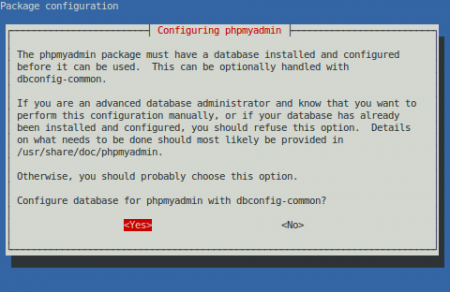 Next you’ll be prompted to create an application password for phpMyAdmin to talk to MySQL. If you leave it blank, a random password will be generated for you. After configuring the password, the installation should complete. 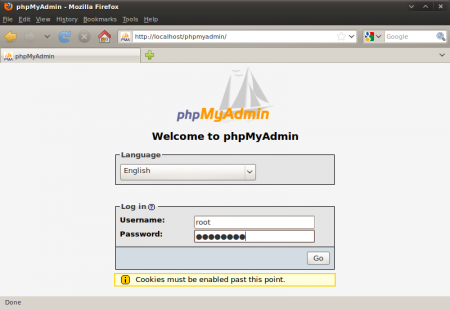 Login using the username root and the root password, that you created earlier. The LAMP server is successfully installed. 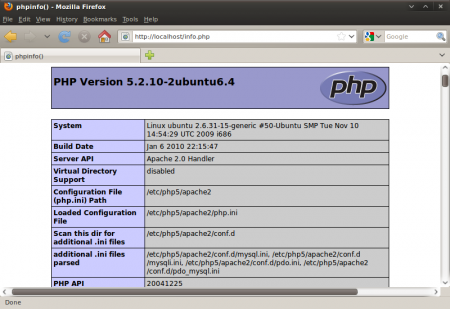 Then select Apache 2 for the webserver you wish to configure.